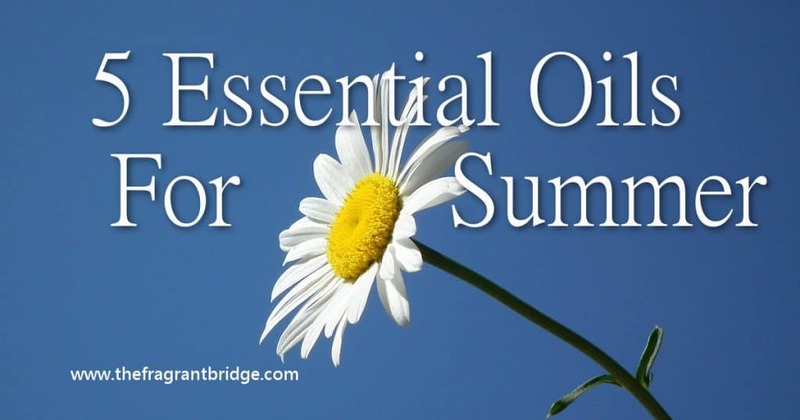 Essential oils are very useful for the minor ailments of summer especially if you spend a lot of time outdoors. Below are 5 oils to help you deal with these minor inconveniences. 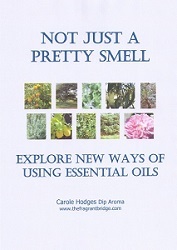 Make sure you buy pure essential oils and not fragrant oils. Also note the botanical name of the oil so that you use the same oil in the recipes below. There are many different lavenders, chamomiles and geraniums, etc. Each bottle of oil will contain the botanical name below the name of the oil. German chamomile is a good oil to have on hand for summer. Use to treat inflamed, irritated skin including dermatitis, boils, acne, nappy rash, eczema, psoriasis and dry itchy skin. She can also be used to relieve the pain associated with burns, sprains, cramps and insect bites. Emotionally German chamomile helps calm the body and mind and can be used to help stress related symptoms including insomnia and headaches. Mix together German chamomile 3% 6 drops and lavender 2 drops and apply directly to the insect bites to ease the itch. German chamomile hydrosol applied directly to the area can also ease the itching. Eucalyptus is useful for bringing down fevers and treating the symptoms of summer colds. She can also be used for easing muscular aches, pains and strains, wound healing and insect bites. Add lavender 10 drops, peppermint 3 drops and eucalyptus 2 drops to 15 drops of oil-to-water dispersant. 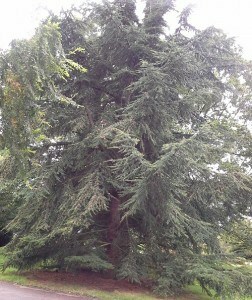 Add this to 50 mls still, spring or distilled water or lavender hydrosol in a spray bottle. Shake well before each use if you don’t have or use oil-to-water dispersant. Keep in the fridge when not in use to keep cool. 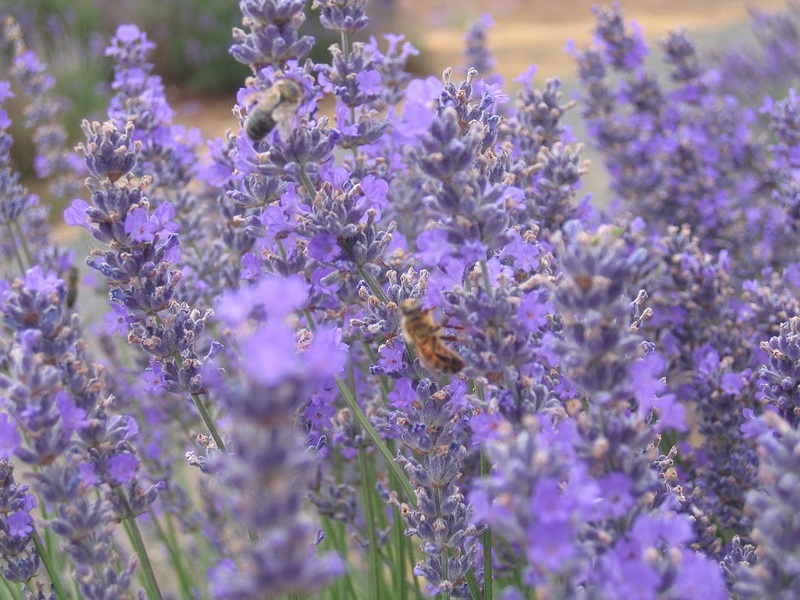 Lavender can be used in a wide variety of situations including minor burns, sunburn, rashes, bruises, wounds and insect bites. She’s helpful for easing sore muscles and headaches. Apply to minor burns as soon as possible to ease the pain and prevent blisters. Emotionally lavender is nurturing and helps with anger, worry, fear and insomnia. Keep this in a spray bottle in the fridge and use it to ease the pain of sunburn. Mix lavender 20 drops to 20 drops of oil-to-water dispersant. Add to 50ml still, spring or distilled water. Shake well before spraying onto the skin. You could also use lavender hydrosol. Add lavender 5 drops, German chamomile 3% in jojoba 6 drops to 11 drops of oil-to-water dispersant. Add the mixture to a bath filled with lukewarm water. If you don’t have any oil-to-water dispersant be sure to swish the water vigorously or add oils to some full fat milk and add that to the water. A drop of peppermint essential oil rubbed into the soles of your feet can help bring your temperature down if you are suffering from the heat. Peppermint is also useful for headaches due to digestive issues and sinus congestion as well as relieving the nausea associated with travel sickness. 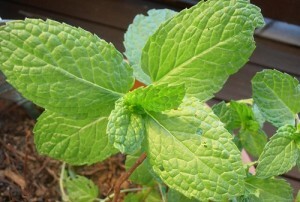 Use peppermint to help keep you alert when you feel mentally fatigued due to the heat or driving long distances. Add peppermint 2 drops to 5mls of cold pressed vegetable oil and gently massage over the stomach area. It is best to do this 30 minutes before you travel. You could also fill an empty small glass container (essential oil bottle, pill bottle) with a couple of cottonballs to which 3 or 4 drops of peppermint essential oil have been added. Open the bottle and take a few sniffs whenever you feel nauseous. Make sure to keep the lid on when not in use. You could also use a personal inhaler if you have one. 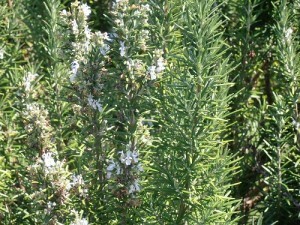 Rosemary is good to have on hand to ease those aches and pains from too much sport or gardening. It is also useful for headaches and tiredness caused by the heat. 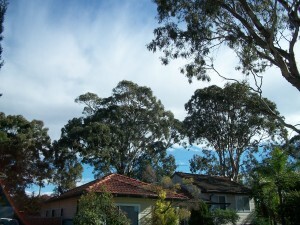 Add rosemary 4 drops, lavender 2 drops and eucalyptus 4 drops to 15 mls of cold pressed vegetable oil and gently massage. This entry was posted in Essential Oils and tagged aches and pains, anti-inflammatory, essential oils, eucalyptus, German chamomile, lavender, nausea, peppermint, rosemary, summer on January 19, 2015 by Carole Hodges. Often at this time of year people make New Year resolutions with the intention of keeping them but by the end of the month many are forgotten. Perhaps they were too difficult to keep and you are now feeling bad about that. May I suggest that you either make resolutions that make you feel good and are very easy to keep or that you choose a word that will be your guiding light for 2015. Some examples of New Year’s resolutions that may feel good could be to have some chocolate or other food you fancy once a week but really take the time to enjoy it and how it makes you feel good rather than feeling bad because you perceive that it is bad for you. Another could be that you will give yourself time for you once a week. This could be as simple as having a regular massage, vaporising some oils, going for a walk or sitting in the garden for five minutes. It really doesn’t matter what it is as long as it is something you enjoy. Give yourself the gift of you. You give so much to family, friends and work so why not give something to yourself? If you choose a word that will be your guiding light for the year choose one that feels right for you. It may be a word you hear or see several times or you can meditate and see what comes. Know why you are choosing the word and put the power of intention behind it. You may choose the words release or letting go as a guide to help you clear the clutter in your life whether physical, mental, emotional or releasing unwanted kilos. You may choose beauty or gratitude so that even in the darkest of times you can see or find the beauty around you or feel a sense of gratitude for something in your life. You may even choose a word like progress or innovative. It doesn’t really matter what the word or phrase is as long as it feels right for you and can act as guiding light to help you through the coming year. Black Pepper (Piper nigrum) – can help you find and stay focussed on your direction in life and take responsibility for your actions. 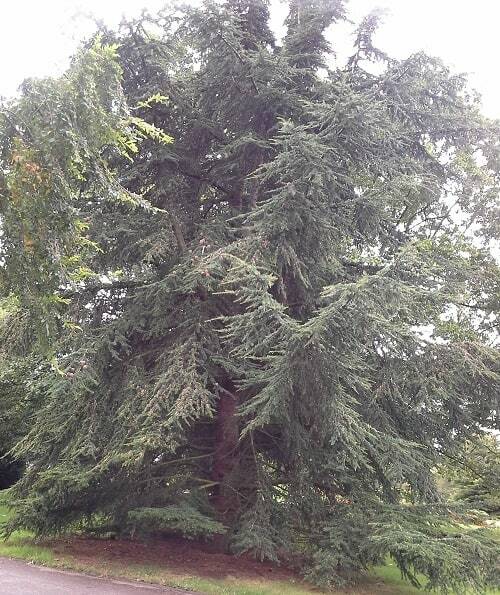 Cedarwood (Cedrus atlantica) – can give you the courage to move forward and follow your dreams. German Chamomile (Matricaria recutita) – can help you let go of old ideas, beliefs, emotions, and habits that you no longer need. 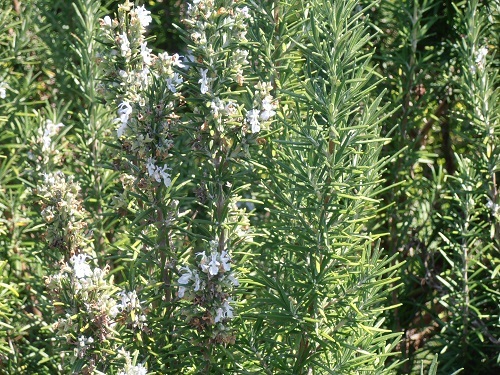 Clary sage (Salvia sclarea) can bring clarity when you are feeling overwhelmed and not sure what you should be doing. 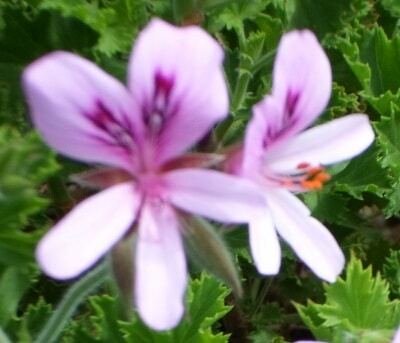 Geranium (Pelargonium graveolens) is another oil to choose if you are beginning something. She can bring a sense of renewal and is also the perfect oil for bringing balance to all aspects of your life, physical, mental, spiritual and emotional. Lemongrass (Cymbopogon citratus) – motivates you to move past any restrictions or limitations you have put in place. Peppermint (Mentha piperita) – helps you reconnect with your purpose and passion in life. 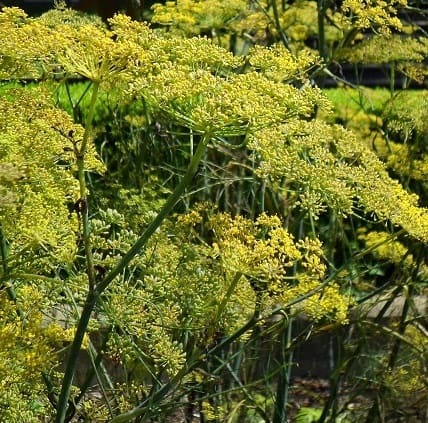 Sweet fennel (Foeniculum vulgare dulce) – is helpful if you feel that there are aspects of the past year that you need to bring to a close so that you can begin afresh. 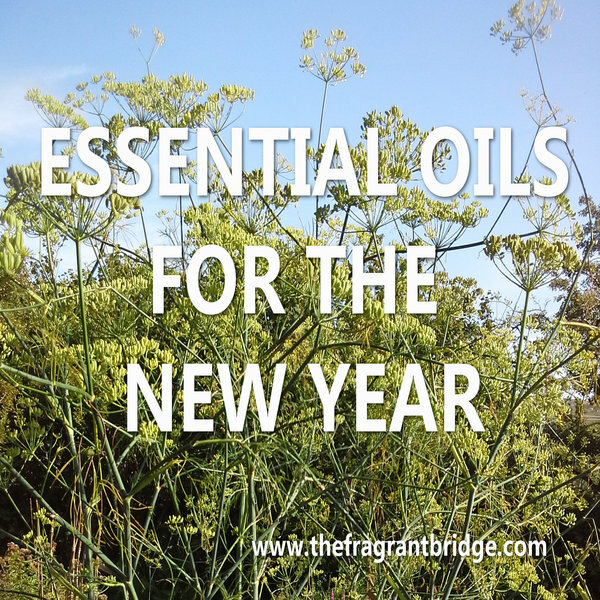 This entry was posted in Essential Oils and tagged black pepper, cedarwood, clary sage, essential oils, geranium, German chamomile, lemongrass, massage, New year, peppermint, sweet fennel on January 7, 2015 by Carole Hodges. Would you like to know more about how you can use essential oils to help you emotionally and spiritually?